As well as being the penultimate College League fixture, Coldhams Common provided the selection race for the men’s BUCS A team; with the first 6 home guaranteeing their places. It was also possibly the most miserable conditions for any of the college league fixtures to be endured by marshalls and athletes with the rain and bitter cold providing additional challenge to the already testing course. Little did we know at this point, that the conditions would be the same at BUCS a few weeks down the line. 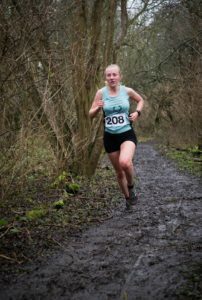 The women’s race took place first, with Captain Lizzy Apsley demonstrating her return to fine form to take the win- putting 12 seconds into the rest of the field. Alumnus Polly Keene took second place, in the vibrant pink vest of Greyhounds, closely followed by Rachel Longstaff in 3rd (for once not the one wearing neon pink). Emily Ruane made a strong debut performance for this year’s cross country season, illustrating her class as an athlete, as although only jogging round in a long sleeve top, finishing a close fourth. Anna Hollingsworth also made her comeback race from injury to finish 5th- a promising sign of a good performance at BUCS in the near future. The men’s race was more hotly contested with the promise of BUCS A Race places for the top 6. The field was led home by George Gathercole in 30:45, closely pursued by Will Ryle- Hodges in 30:56. Ollie Fox took 3rd place in 31:02, having already run 5 x 1 mile earlier in the morning, with Phill Crout just a second behind. The final two positions in the team were taken by Norman Shreeve and captain MacGregor Cox who packed closely to finish inside 31:30. No doubt this squad of 6 will be looking to match or better last year’s performance and bring home another medal #pjsonpodiums2k18. Outside of the top 6, the men’s performances continued to show great depth with fresher Joe Massingham finishing a close seventh in 31:32. 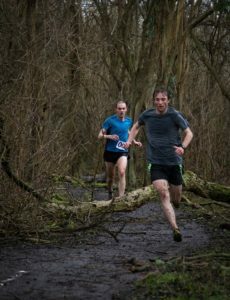 Finishing 8th and 9th, Coxon and Carr demonstrated their strength off the track and in the rough conditions of the cross country course. All in all, 24 men contested the course at Coldhams Common, an assuring indicator of a deep B race team to take on the best of British at Uxbridge.